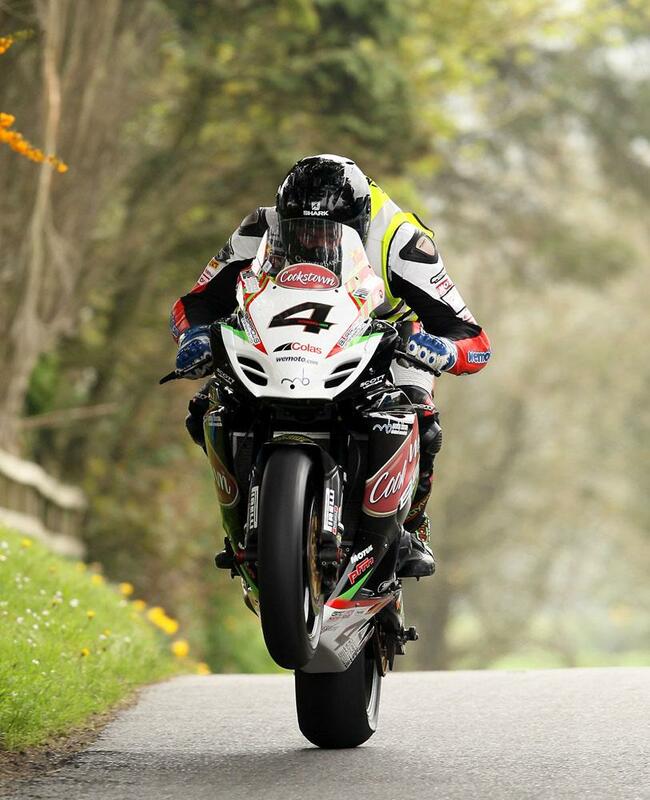 Manxman Dan Kneen, making his debut on the roads for the Cookstown BE Racing team, took a controversial victory at the weekend in the main race at the opening Irish road race of the season, the team’s home KDM Hire Cookstown 100, winning from Tyco Suzuki’s William Dunlop. 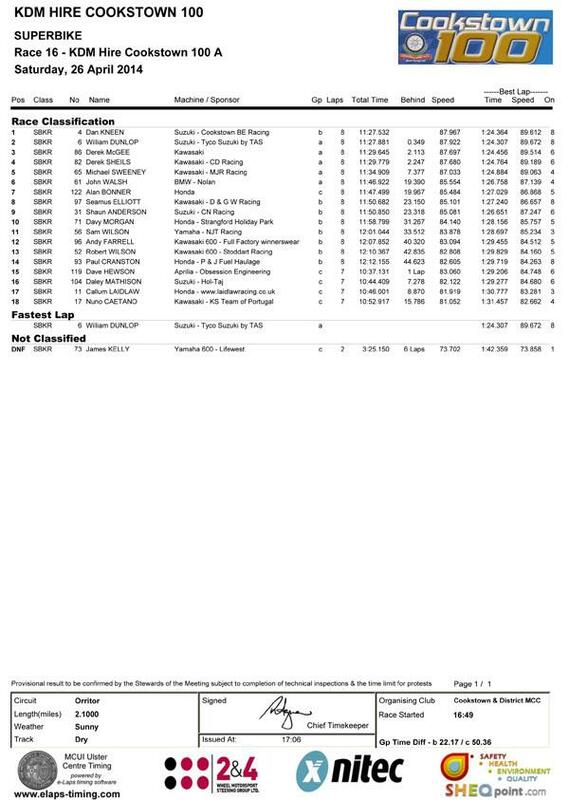 With small grids necessitating the race to be run in multiple groups, Kneen was able to come from the second group after qualifying 11th, to win by only 0.3 on corrected time. However, with the Tyco team saying they had been unable to hear timing announcements on the ‘antiquated’ system used, they were unable to give signals to Dunlop alerting him to the closing Kneen. Despite the controversy, though, Kneen remained upbeat with his first win on the team’s GSX-R1000, saying after the race: “It’s been a dream debut at Cookstown. I knew I had it in me and it was time to prove it to everyone else. I’ve managed to prove to everyone that my injury setbacks were just that, a setback, but now it’s time to go forward and show what I’m made of. It was a great race, and I knew I had to push hard throughout against some outstanding opposition – but job done. I just can’t wait to get back on a bike for my next race now." In the other classes, Michael Dunlop took his first wins of the year on the MD Racing Honda supersport bike and Kawasaki supertwin bike, but had a less successful day on his BMW debut, with a mechanical in race one ruling him out of both races.